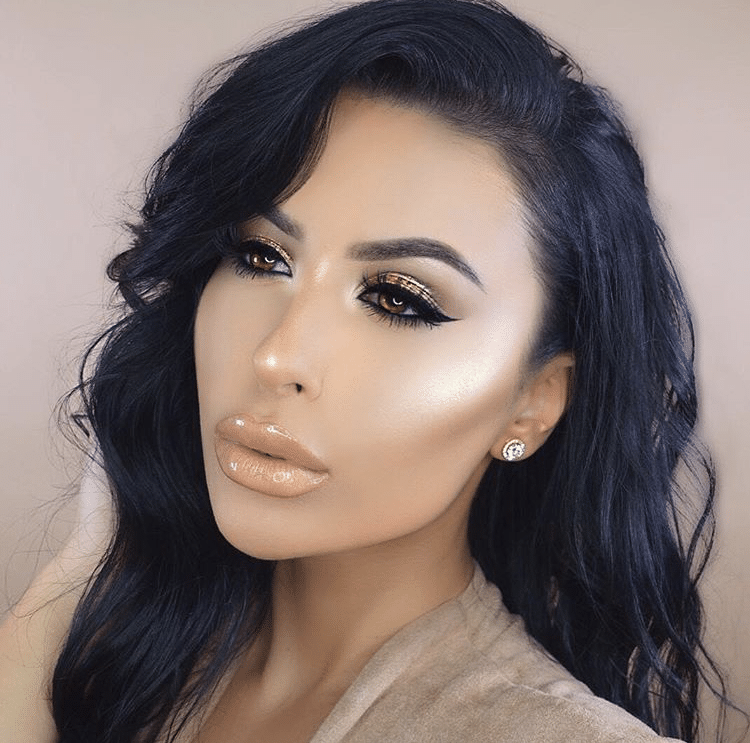 To me, Amrezy is the definition of the overly used social media term of 2015…”FLEEK”. Her make-up skills are unfamothable and she knows how to apply highlighter without looking like a disco ball. Not only that, her contour skills are something drag queens would envy. She knows how to “bake dat face”. I love the way she literally does a full face of make-up for every look especially as she lives in sunny LA. Why I mostly respect Amrezy is that she is real, she loves taking selfies, she knows she looks good and isn’t afraid to pin-points her flaws. Her Snapchats are inspirational and I very much look forward to watching them especially on what she calls “RANT MONDAY”. If you haven’t seen her skills already, check them out on her Instagram page here. Nikki Tutorials is also very similar in terms of the very-polished look and her looks can be seen here. 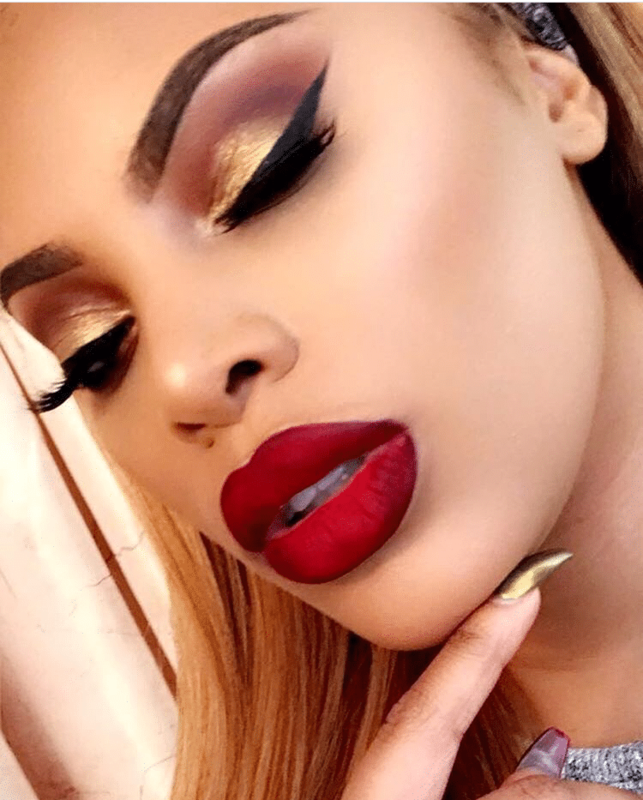 Msroshposh is another one of my favourites when I want that full on “glam” inspiration for a night out. I was drawn to her videos years ago as I could not believe how gorgeous she was! She experiments with different hair colours and new products but always manages to look effortless. I particularly love her celebrity inspired looks – recently she has taken inspiration from Nicki Minaj’s ‘Feeling Myself’ video. She manages to make the look wearable rather than look like a costume or clone. As a fellow cat lover, a special mention goes out to her beautiful cat Simba who can frequently be seen popping up in her tutorials. I love Lora Arellano’s make-up, tattoos and her cosmetic line ‘Melt’ (which I am still yet to try but the colour payoff looks fantastic). I discovered her through Rihanna’s Instagram page years ago as I noticed she was her MUA of a few of her photo shoots. Since then, I regularly look forward to her updates, her new hair colours and her make-up looks. Lora’s look can generally be described as darker, gothic and with an influence of pin-up, but she has a way of making it look modern. I also love the way her make up looks ‘lived in’ which is perhaps a contrast to Amrezy’s polished look. But nonetheless, I admire their skills equally! Of course, I could rattle on about my favourite MUAs all day and night but these are the ones I regularly look to for inspiration when stuck for a look for a night out. Another notable mention is Lisa Eldridge on YouTube who is a MUA to the stars, her tips are absolutely amazing and she works on a wide range of skin types and skin tones, so you can definitely find something for you. Please note, images have been sourced from their respective Instagram pages. Do give them a follow! "Musings: My Lipstick Be… Popping "
"Memoirs: Why I Dislike My Birthday"